The fax machine. Reports of its ultimate extinction in the workplace have circulated for years. However, as long as there are law firms, CPAs, banks and healthcare companies, there will continue to be fax machines. They play a vital part in the secure transmission of legal documents, medical records, mortgage documents, invoices, sales orders and many other key pieces of business material. In fact, for many companies the fax may be the only means of verifying a document has been received and an authentic signature has been produced. It’s true that the number of physical (or “analog”) fax machines are getting fewer and fewer. More businesses are moving towards digital faxing to save money buying and maintaining hardware. Digital faxing also allows you to send and receive faxes from any computer or mobile device and archive them in the cloud. So having the flexibility of making analog versus digital faxing in your office has never been more important. At Ooma we’ve been hard at work to let you fax whichever way you want, using our powerful VoIP solution. So we’re very excited to share that we’re rolling out our new SureFax feature to our Ooma Office customers. What exactly does SureFax do? In a nutshell, it takes your analog faxes and translates them into “VoIP language.” This makes it possible to send and receive faxes over pretty much any high-speed Internet connection. Ooma Office is now packing more punch – and not just on the faxing front. Have you been stuck in the administrator role fielding requests from employees for basics like call forwarding? We think your time is best spent on the truly administrative tasks like setting up extensions (and we’re willing to bet you do too). Now each phone user can customize their phone experience through our new Ooma Office Manager user portal. To make life easier for users as well, the user portal has a handy click-to-call feature so you can return missed calls by simply clicking the number in your call log. Today we also added support for toll-free numbers. Whether you want to add a toll-free number for your business or port over an existing one, it’s as easy and affordable as adding any new line to your system. If you currently have an Ooma Office business phone system, these new features are all available today as part of your existing subscription. Enjoy and let us know what you think! To read the full press release, click here. Is there a chance this can be rolled out to Ooma Telo users in the future? I occasionally have a need for faxing at home (health care claims a few times a year). But currently it’s very shaky, even after making the adjustments suggested by forum posts I found. It sure would be nice if you could offer this to your Premier Customers. I triple that motion. Premiere customers would sure like that added to the list of great features Ooma offers. When I go on a rant about how great Ooma is, people can’t believe it. Then when I tell them I am talking on VoIP, they can’t believe that either because they remembered how awful the sound quality was with VoIP when I had Vonage. The improvement was so dramatic when I switched to Ooma, that they all thought I had gone back to my old land-line (does anyone even offer copper wire service anymore?) Nope, this is VoIP, but I’m on Ooma now (yah, I know, I have to tell them, its a weird name, but never mind…it’s a great service). A friend of mine from England stayed over and was surprised when the phone rang and it had a British ring — two short, pause- two short. He was immensely impressed. That and the Blocked Call features are real “wow” factors. Can i send and receive faxes via wireless network from a VOIP fax line that is currently conected to the home network? My wireless network = Modem – Wireless Router – VOIP Modem – All-in-one Wireless Fax/Printer/Scanner machine. 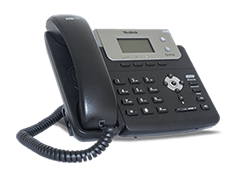 I have them far apart inside home so i do not want to use a large phone cord to conect the fax and i was wondering if i can set it for wireless fax receiving and sending using my VOIP fax line. Like Paul, it would be nice for you to offer this feature to your Premier Customers. Premier Customers existed before your created the Ooma Office. I purchased the Ooma Telo and became a Premier Customer immediately for my home-based office. I also still use a fax machine and use the Linx. So yes, I believe you should add this SureFax to existing Premier Customers as well. Thank you for a great product for my business. Thanks for this post! There’s some pretty interesting information here. Keep up the good work on this blog! I also would greatly appreciate Surefax being offered for Ooma Premier users. I’ve had Ooma Premier for years and still have serious problems sending faxes, even after I’ve made all the recommended settings changes in the Fax Machine, multi-function printer. Hello!! I love my Ooma Premier!! However I also agree you really should offer this to your Permier customers who are loyal Fans of your service! How can you fax if you are a Premier Ooma customer? I’ve struggled with attempting to get a recent Brother MFC-J6710DW to send faxes with Linx. Seems to work on single page faxes but not the larger (and usually more important) multipage documents. I suspect it is an issue on the T30 handshake resident in my machine and I haven’t found anything yet from Brother that would update this to a T38 protocol (which is what I suspect that the Surefax product must be using). Would be nice to be able to have this available for premier users as I’m still needing to pay more than the premier package for a single analog phone line. I agree that it should be provided to Premier Customers as well. Please consider adding this service to Premier account subscribers. Yes, please, please, please add the fax service to Premium! I am a premier customer and use a fax. I would like to be able to use the virtual fax too. Hi David! Please contact our customer support at 866.452.6662. Monday-Friday 5am-5pm PST, Saturday-Sunday 8am-5pm PST. They’ll be able to give you more advice on how to proceed. 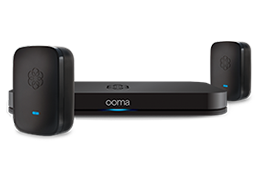 I have had both Ooma Premier and regular Ooma Telo. Both are very poor with faxing more than a state’s distance. Ooma has servers only located on the West Coast and there is very high latency in the transmission which screws up Voip faxing, even using the special numeric fax precodes or Ooma Premier Fax special transmission features. I have tried several models of faxx cards and outboard usb fax devices, to no avail. Until Ooma has servers across the country, this will not improve.